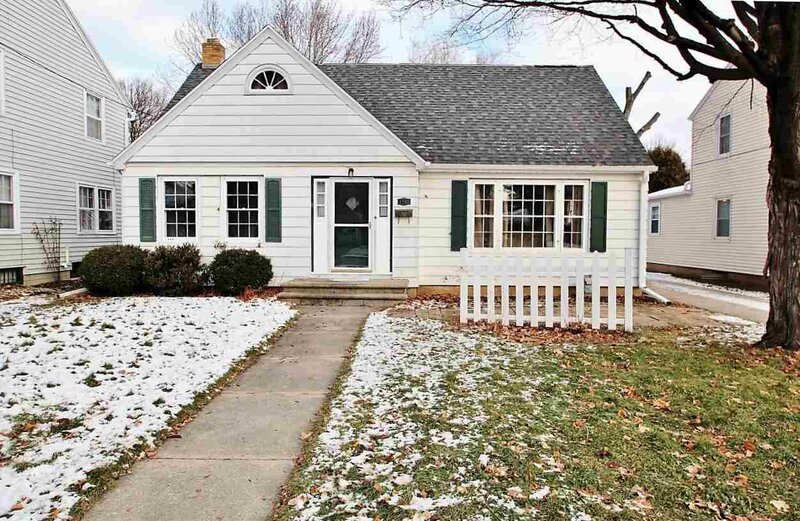 Cozy Cape Cod offers hardwood floors, is freshly painted and has 2 newly remodeled baths! Come choose a 1st floor or upper master bedroom as both are well suited and have available full baths close by. Started for you is a rec room in the basement which is also equipped with a bomb shelter or possible wine cellar! You`ll also enjoy the covered back porch, nice yard, easy access to schools, parks, farmers markets, fox river trail and life downtown. You will love living here! Updated roof 2016, water heater 2017, gutters & downspouts 2018. Includes 1 year Choice Home Warranty. Listing courtesy of Resource One Realty, LLC. Selling Office: .